Blurb: A Perfect Circle returns after 14 years to give us an album that may be telling you what you need to hear, but may not be what you want to hear. It’s been 14 years since A Perfect Circle’s anti-war covers album Emotive, and 15 since the last full-length album of original content, The Thirteenth Step. Since then, both Maynard James Keenan and Billy Howerdel have created other side projects. Keenan started Puscifer and has released a number of original and remix albums, EPs, and a live record. Howerdel started Ashes Divide, which released one album and then went quiet. Over the 10 years since then, Howerdel has been writing music, undecided as to whether they would end up as Ashes Divide or A Perfect Circle; it appears that A Perfect Circle won out, but it also seems that Eat the Elephant has more in common with Emotive given its political focus. Eat the Elephant is a critique of society at large, dealing with topics like societal programming, negative media personalities, nuclear annihilation, and the pointlessness of “thoughts and prayers.” The first two albums could be enjoyed on several different levels – on the one hand, you could just enjoy the melodies and vocals at a surface level, and on the other hand, you can dive deep within the lyrics because of their abstract nature. Here, that level of abstraction is mostly gone as the directness of the lyrical content will force you to get the full meaning, even at a casual listen. The resulting tradeoff is that it feels more important, but less deep. For instance, one does not have to look long into a song like “The Doomed” to mine all of the meaning you are going to get out of it. That’s not to say it’s not saying anything significant; there is less to figure out and more to be simply consumed. This is, of course, a criticism of the album, but only because Keenan has set the bar high for himself. 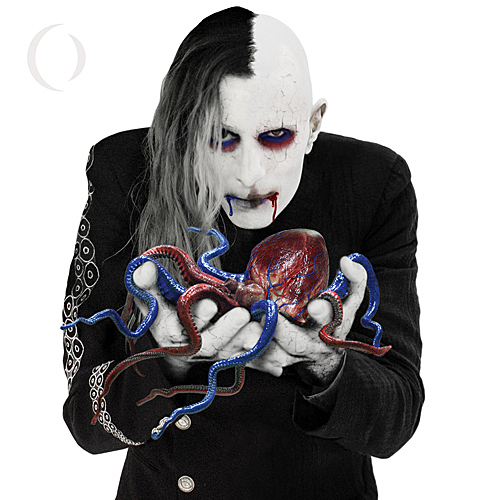 For a lesser artist to have gone from such abstraction in otherwise average songs to something this focused would have been labeled as a triumph, but for A Perfect Circle, it feels more like a step down from the band’s usual quality. As critical and dour as the album’s subject matter can be, this is A Perfect Circle’s – and perhaps Keenan’s – most upbeat album. “Disillusioned” talks about the use of technology to chase dopamine, but it slows down into a beautiful vocal and piano section where Keenan sings, “You were never an island / Unique voice among the many / In this choir tuning into each other / Lift all higher.” “So Long, and Thanks for All the Fish” talks about how we’ve squandered our time and resources just before the world ends, but it’s using a Douglas Adams joke to get the point across and the music is uplifting and bombastic enough that it would make Coldplay envious. Even on the previously mentioned track “The Doomed,” Keenan admits that there are good and decent people in the world, “the pious, the pure of heart, the peaceful, the meek, the mourning, and the merciful,” but unfortunately, these are the proverbial doomed. And the album as a whole treats these like they are problems that can be overcome. The opening title track, “Eat the Elephant” shows Keenan singing about a huge looming problem to tackle and the answer is to “just take the bite.” The album wraps up with the mellower “Get the Lead Out” where “we have places to be,” encouraging us to stop talking and get things done, ultimately substituting empty speech with productive action. Billy Howerdel furthers his musical evolution by showing that he can make his complex musical arrangements using more than just guitars. Mer De Noms and The Thirteenth Step are densely layered with guitar melodies, and while his overall style is the same, Eat the Elephant shows him branching out more into other instrumentation. For instance, “Eat the Elephant” doesn’t have any guitars at all, instead relying on a piano and mellower jazz style drums to carry the song. “The Contrarian” lets a harp to drive the melody for the first verse of the song before handing it off to a piano again, while “Hourglass” prominently shows off synthesizers and heavy vocoders in the chorus. Howerdel does fire up the guitar in most tracks, but primarily as a background instrument. But he strikes his best balance of his traditional style with the newer instrumentation with the rerecorded “Down and By the River” and “Feathers,” on which the pianos and melancholy, droning guitar melodies work together. While this writer was happy to hear Howerdel trying out new things, it was disappointing that it resulted in the record’s mellower feel. Expectations play a large part in the enjoyment of this album. A Perfect Circle has crafted a meticulous and meaningful album that is great by most standards. The vocals are better than most bands could hope for and the instrumentation is masterfully performed and arranged. But if one were to come to it expecting another Mer De Noms or The Thirteenth Step, they will be let down.